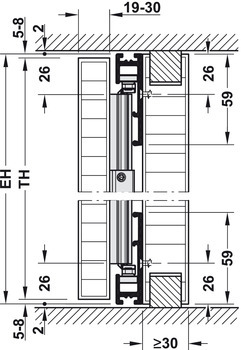 A set is for one door. 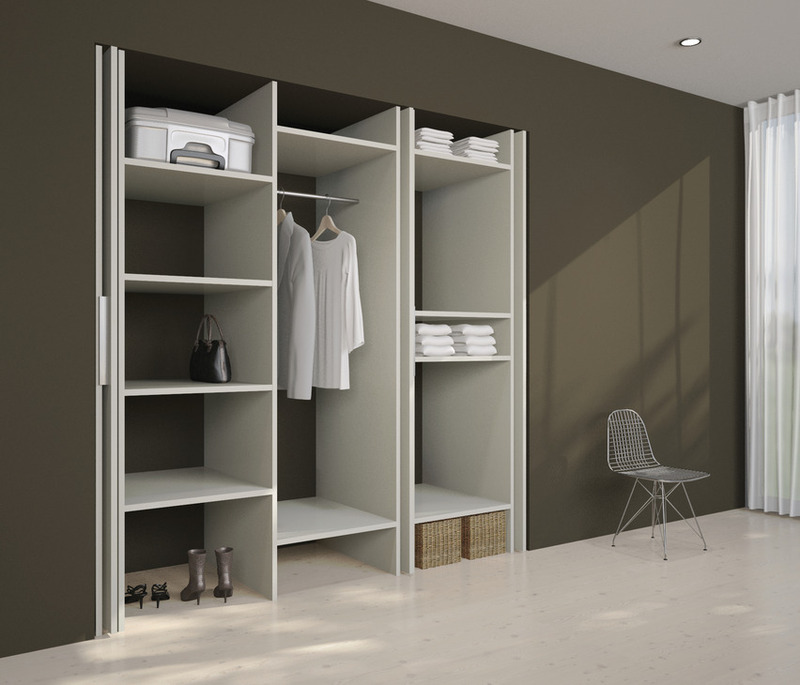 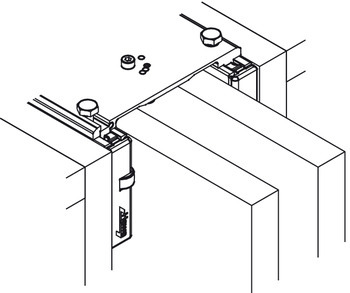 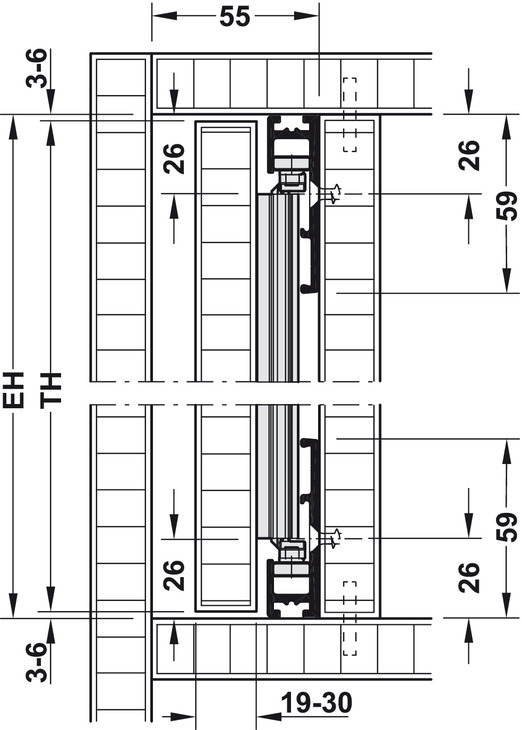 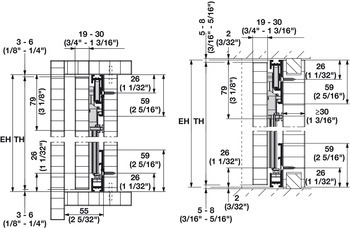 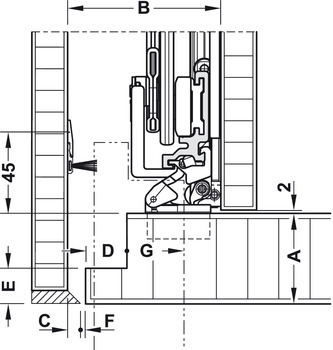 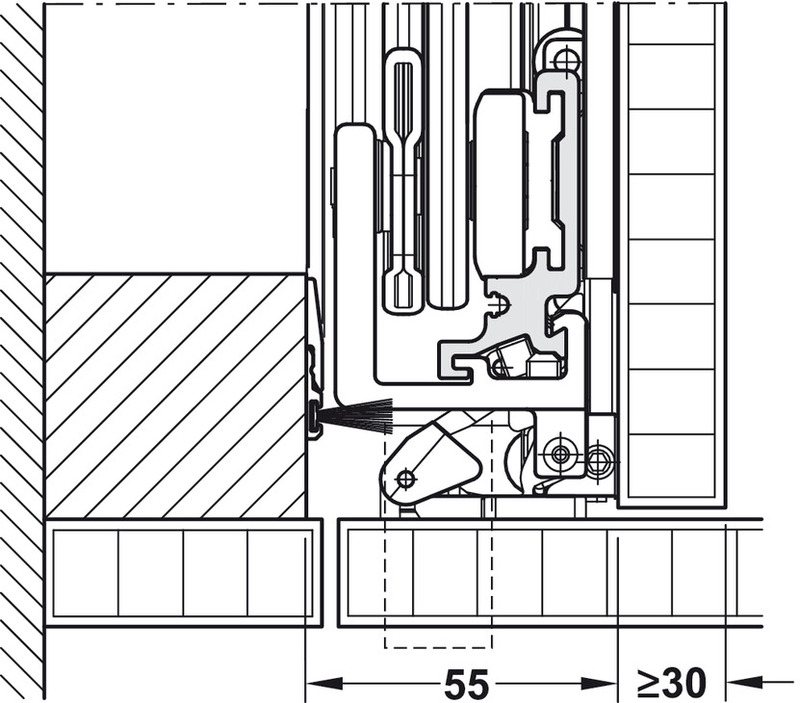 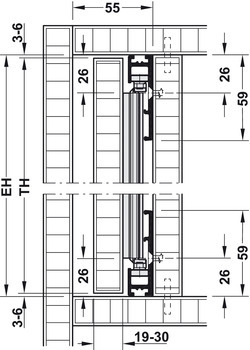 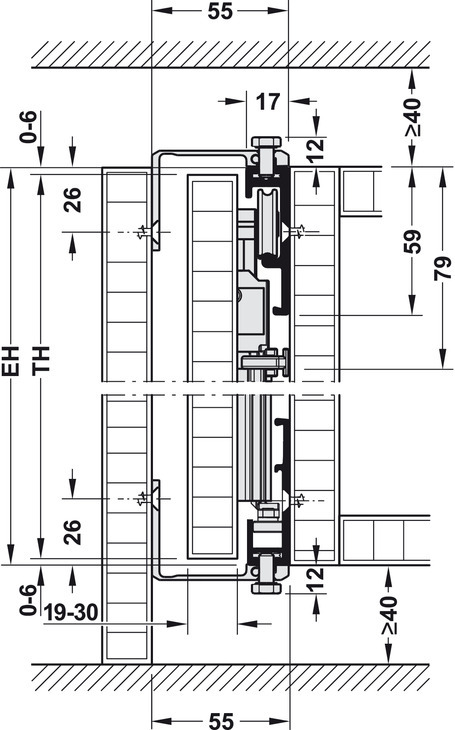 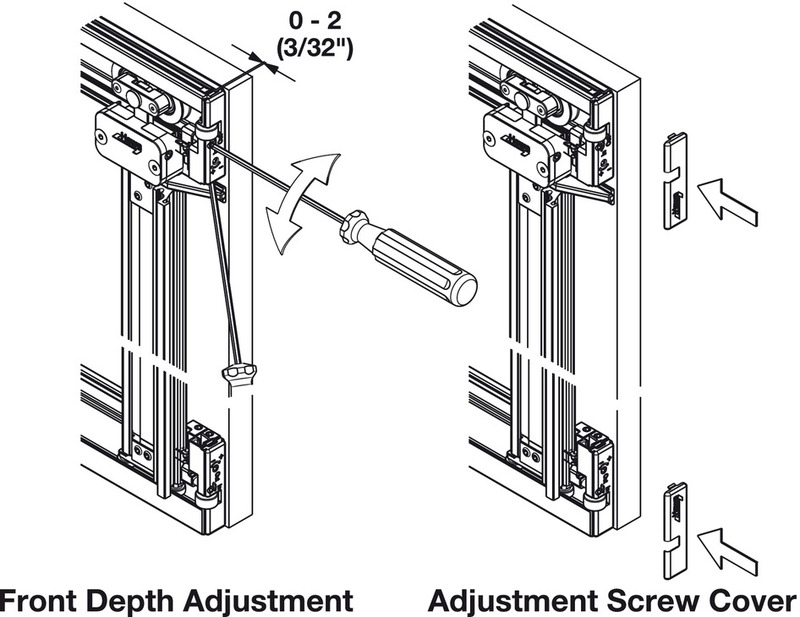 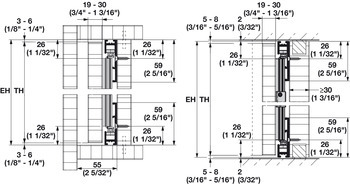 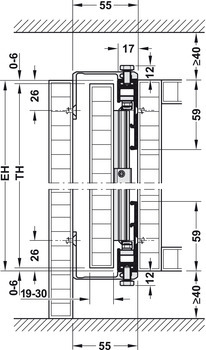 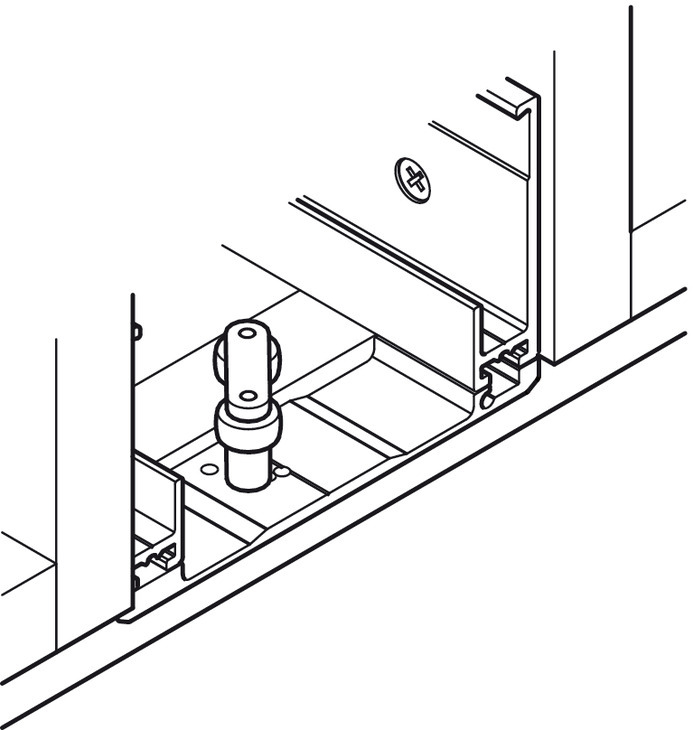 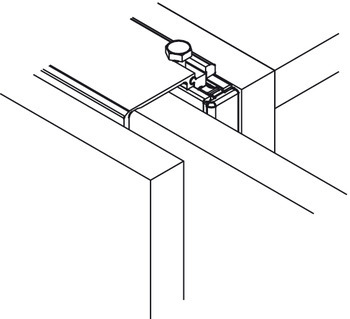 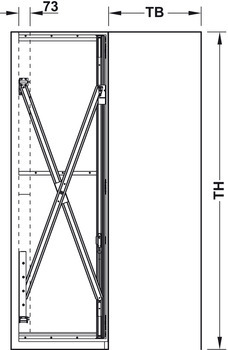 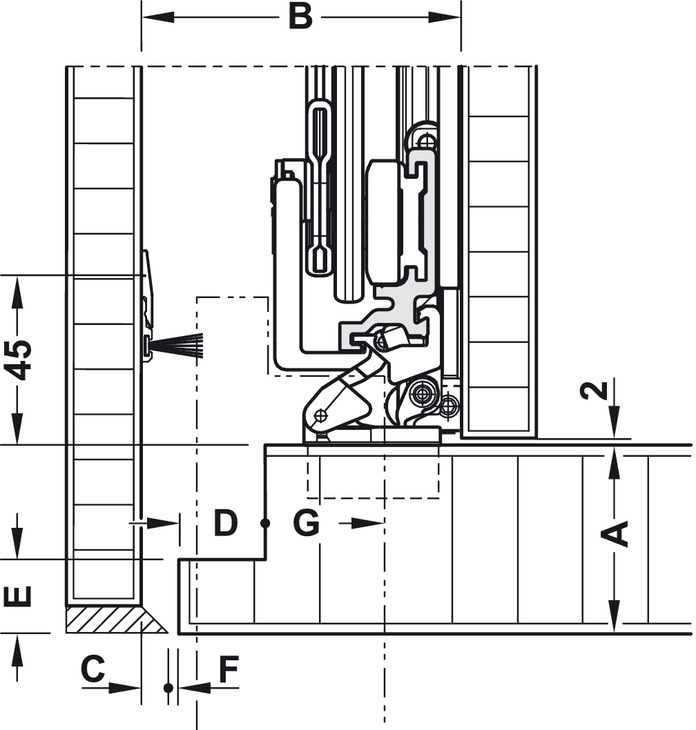 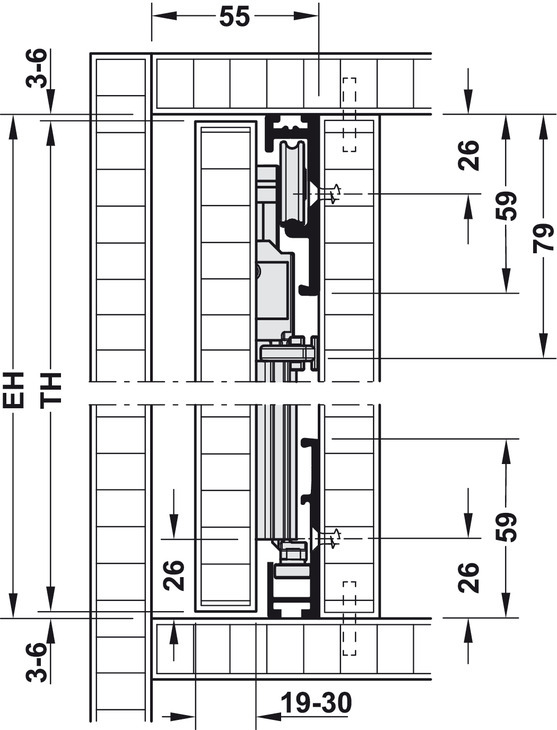 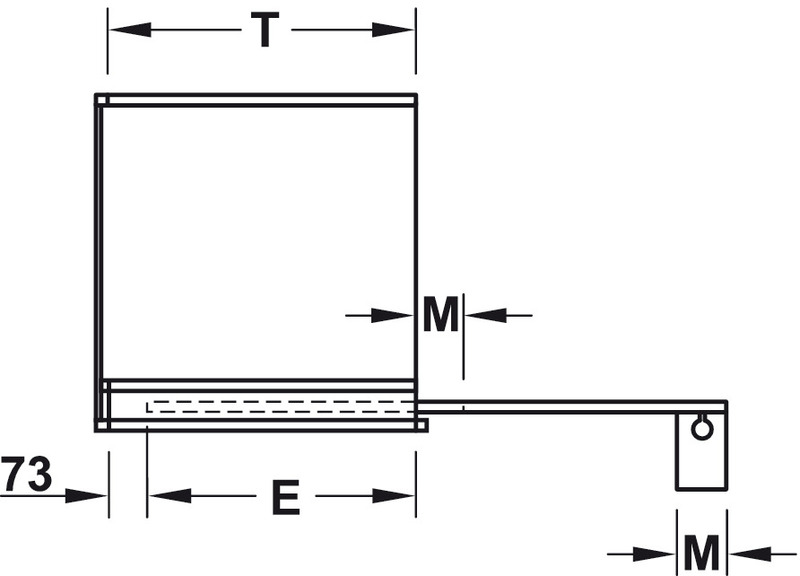 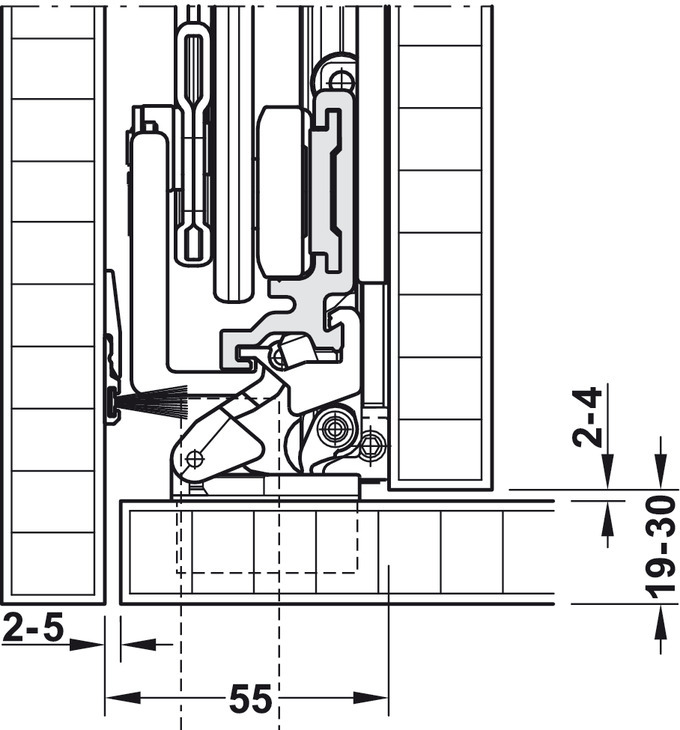 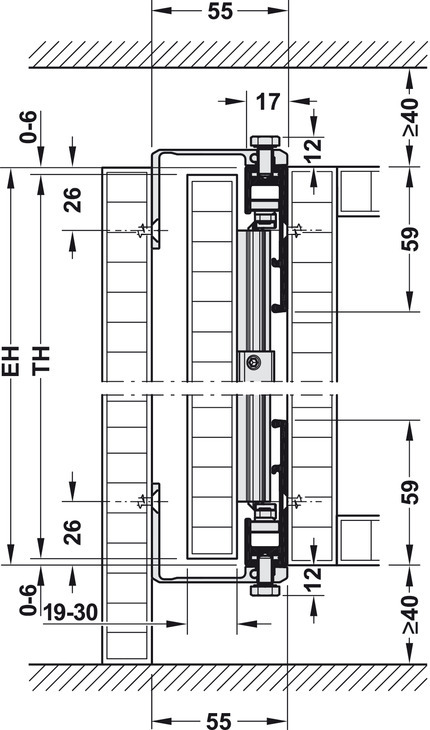 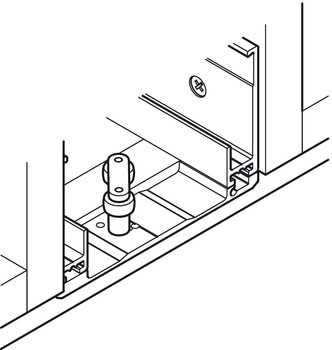 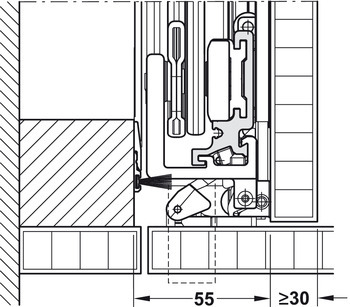 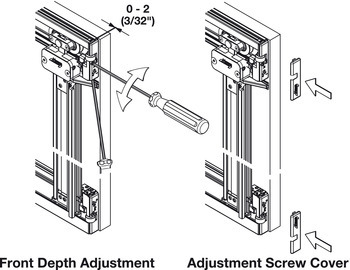 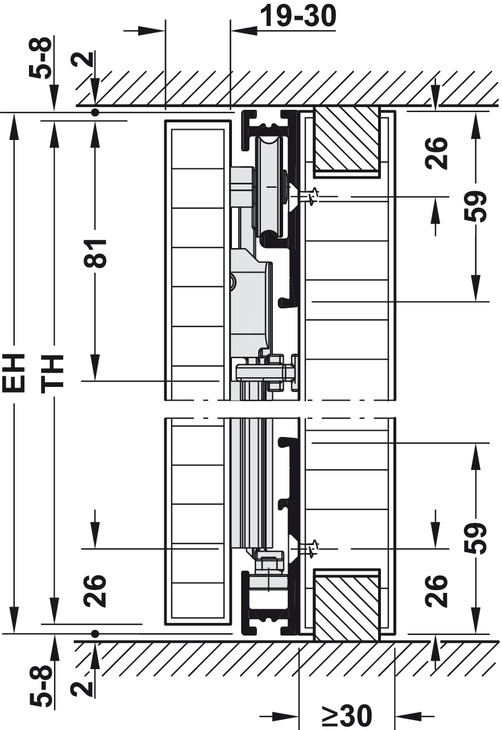 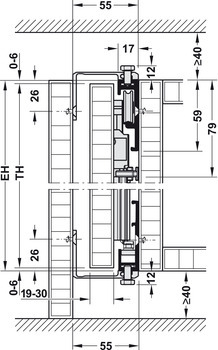 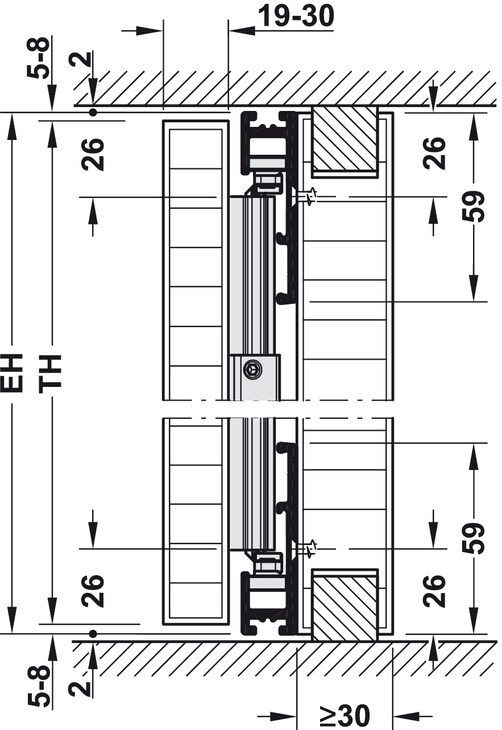 Order the respective Connector connecting profile below for pivot/sliding doors that overlay the cabinet on top and bottom. 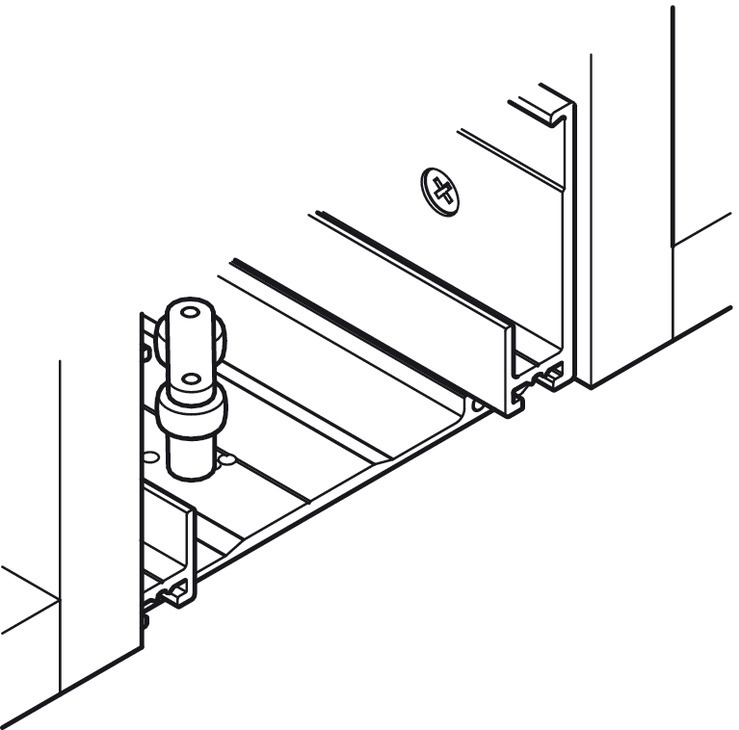 The door handle height must be taken into consideration if the doors of adjoining cabinets coincide when one door is opened. 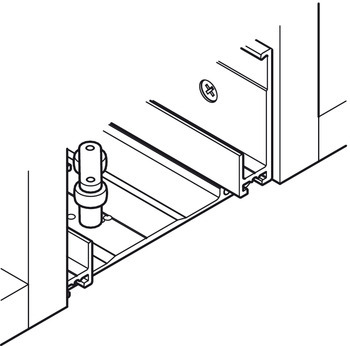 We recommend mounting flush pull handles. 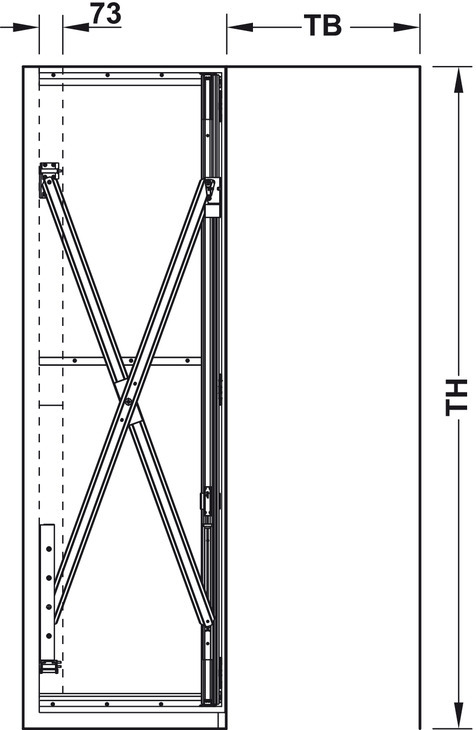 Profile at top and bottom - Connector width 110 mm (4 5/16"), length 650 (2’ 1 9/16") or 900 mm (2’ 11 7/16").